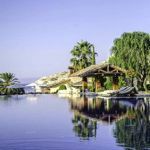 Guaranteed sunshine, sandy beaches and warm hospitality - there are few places better than Cyprus for a restorative break. Combine lazy days by the sea with time exploring the beautiful landscapes, historic sites and sights and the unspoilt villages of the Troodos mountains. Cyprus is one of the sunniest spots in the Mediterranean, making it an ideal destination for a short break at any time of year. It’s also a beautiful and historic island with many superb hotels and fascinating places to visit. In the summer months, you can bask in temperatures of up to 35ºC – in the heat of the day you won’t want to move far from the swimming pool. But it’s in winter that Cyprus really comes into its own. In November, for example, you can enjoy temperatures of 23ºC and an average seven hours of daily sunshine. Even in the coolest month of January you can expect 18ºC and five hours of sunshine – ideal for sightseeing. 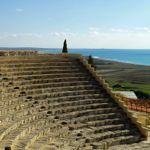 For 2017, Paphos was designated European Capital of Culture, testament to its rich and fascinating heritage. We have created a fantastic short break to give you a taste of this vibrant and historic coastal town. We’ve included a private walking tour with a local expert. 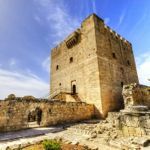 Our Cyprus manager, Angela, lives in Paphos and will meet up with you to share her top insider tips and recommendations. With three nights costing from under £400 per person including flights, it’s great value for money too. 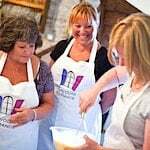 Find out more about our holidays and short breaks to Cyprus.